Graham-Cassidy “threatens to make health care unaffordable and inaccessible for millions of older Americans. 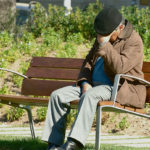 The bill eliminates two sources of financial assistance – premium tax credits and cost-sharing reductions – critical to ensuring that low-to-moderate income older adults are able to afford the coverage they need,” according to the AARP. The bill would also allow states to charge older adults in the Marketplace significantly higher premiums on the basis of their age by waiving federal protections that limit the practice known as age rating. Under Graham-Cassidy, a 60-year-old Ohioan with an income of $25,000 could face an increase in total costs of up to $13,563 in 2020. A 60-year-old Ohioan with an income of $25,000 could face a premium increase of up to $8,085. A low-income Ohioan could face an increase of up to $6,653 in out-of-pocket costs. A 60-year-old Ohioan in the individual market could face an “age tax” of up to $3,329. 32 Million: At least this many people would likely lose their health insurance in the next ten years – 15 million would lose their coverage in the next year. $4.1 Trillion: The amount of health care funding states would lose over the next two decades; which includes funding for people who need nursing home care and children with disabilities. 20 Percent: The increase in premiums next year, at minimum. $16,174: The amount more a 60-year old making $25,000 would have to pay per year for the same coverage received today. $17,320: The surcharge a woman would have to pay for coverage if she were pregnant.